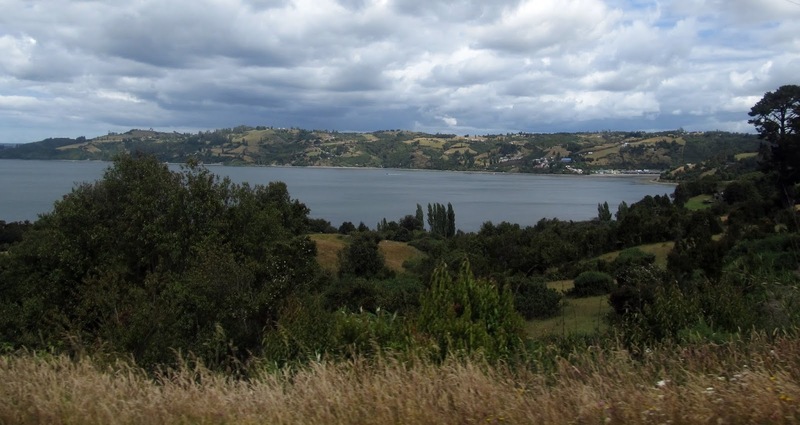 Back on our own again we flew to Puerto Montt and immediately jumped on a bus to Castro, the main city on the island of Chiloe. 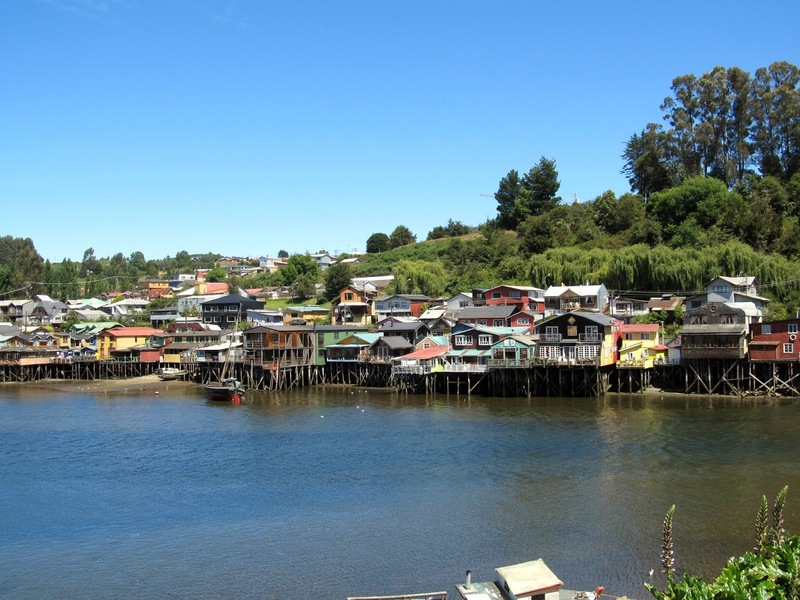 Although Chiloe is only separated from the mainland by a 2km wide channel, culturally and historically it is a world apart and is known for its unique lifestyle, architecture, cuisine, mythology and even language. We gave ourselves 5 days to take a look. 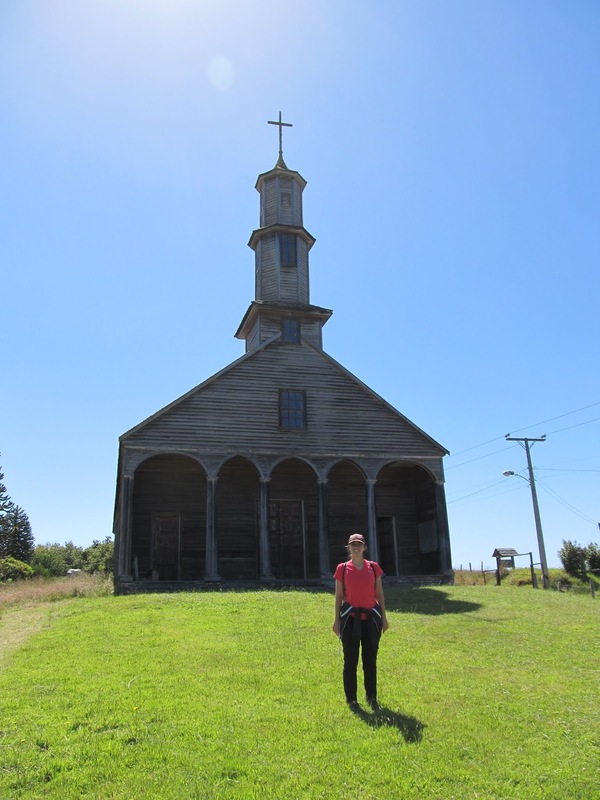 Chiloe’s most famous architectural style is that of its churches. 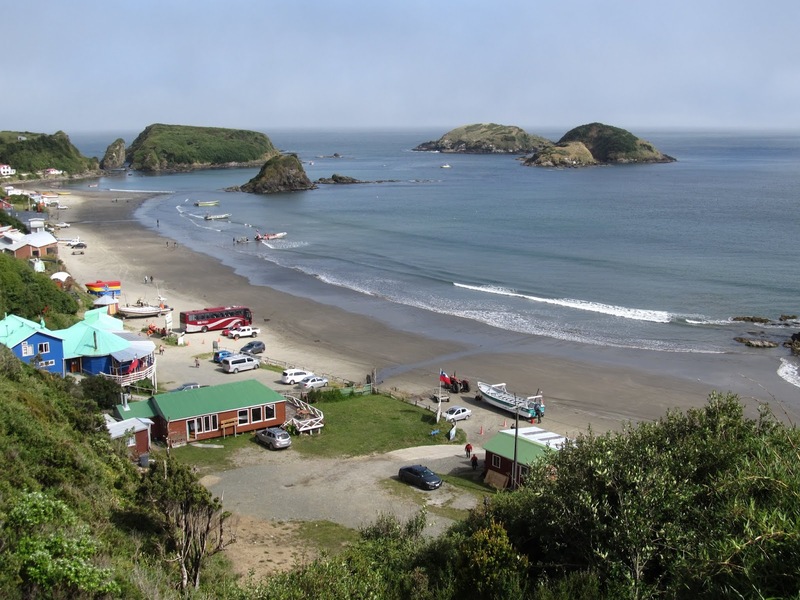 There are around 70 on the island but 16 have been chosen for designation as world heritage sites. 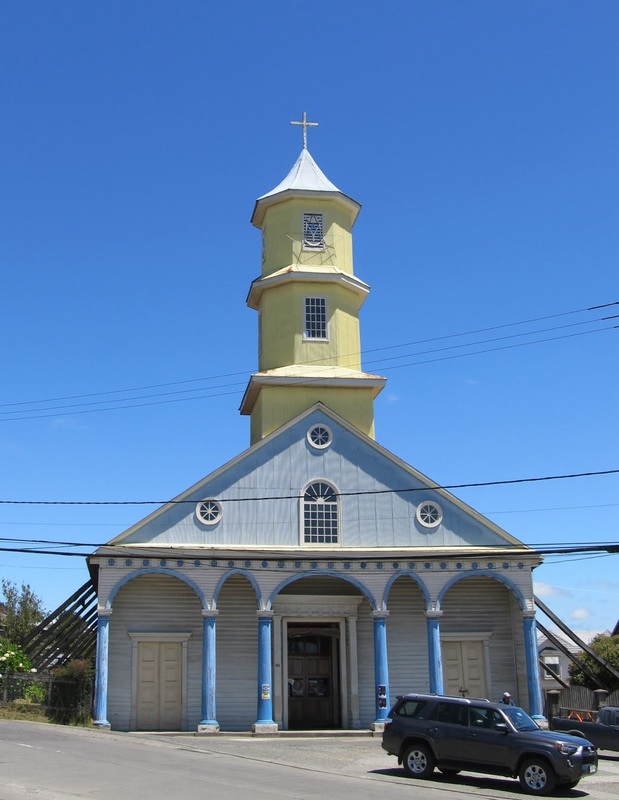 In a general and crude sense they look like large wooden barns with (usually) a single central steeple over the front and usually painted in some interesting colour combos. 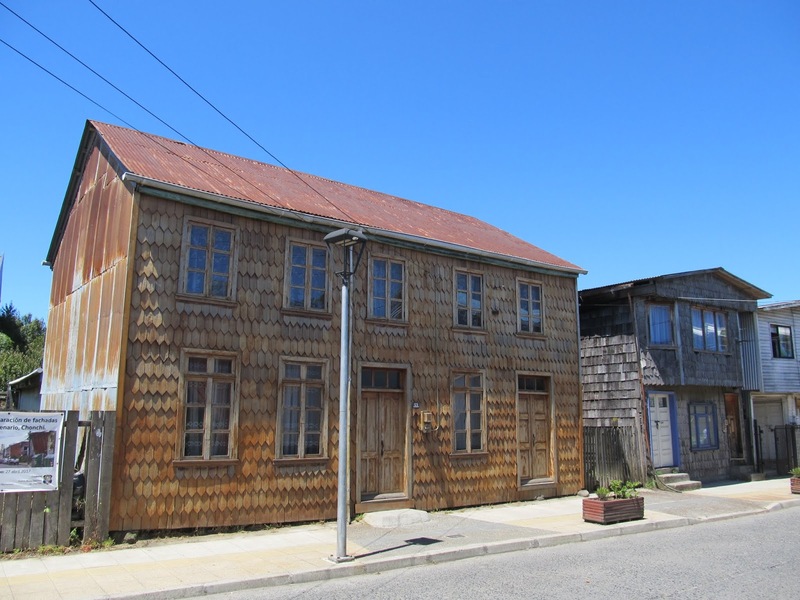 Almost every building on the island is made of wood and covered with shingles. It makes everything look scaly. 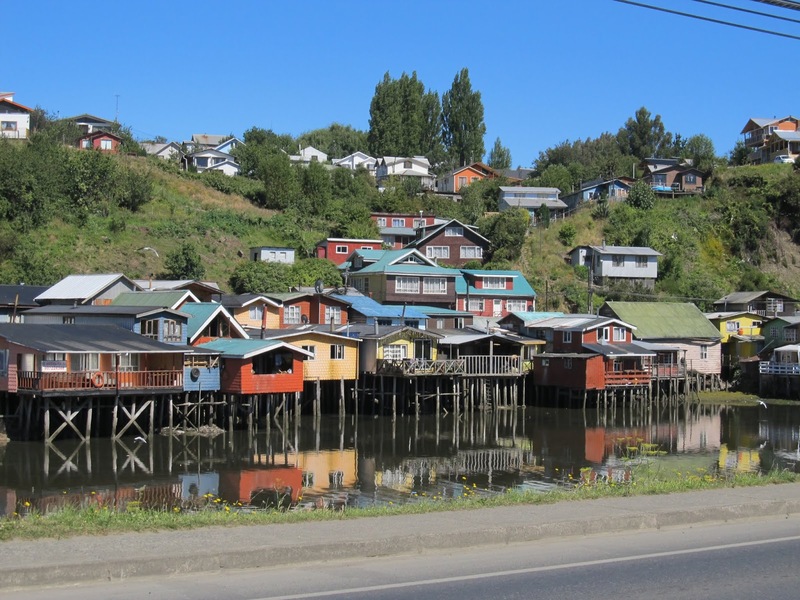 Some coastal areas (especially around Castro) also have palafitos, traditional fisherman houses on stilts over the water. 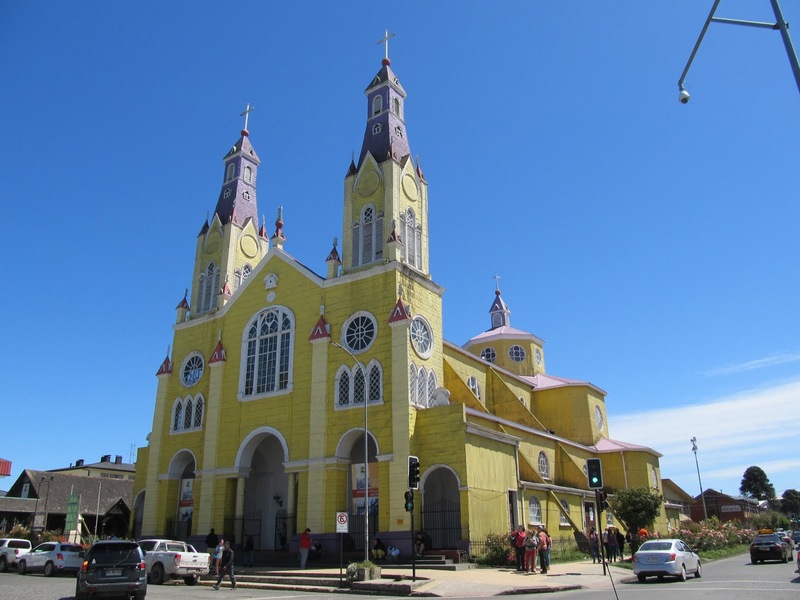 From Castro we made short trips to the villages of Chonchi and Vilipulli to check out their churches and seafood. 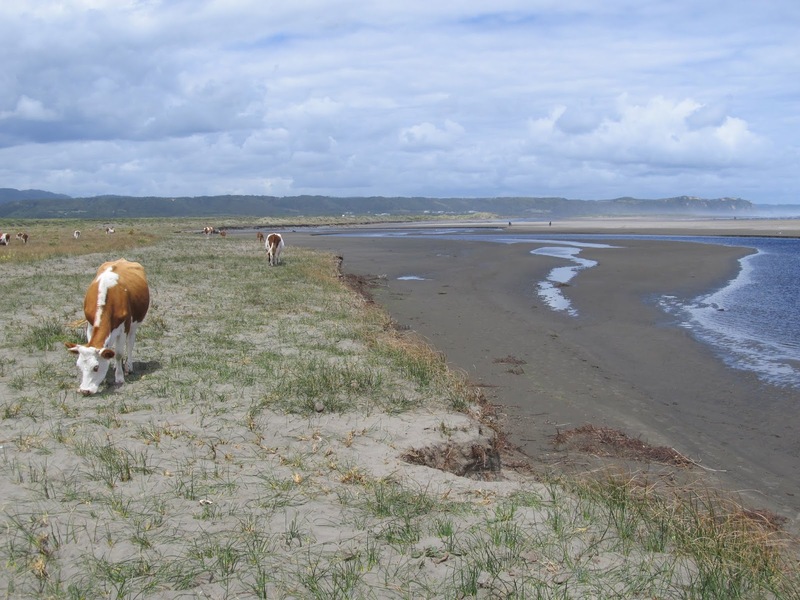 We also visited the wild west coast and Chiloe National Park for a couple of short hikes in the unique rainforest of short trees and ferns or along the shoreline sand dunes marveling at the oddity of cows grazing along the sand. 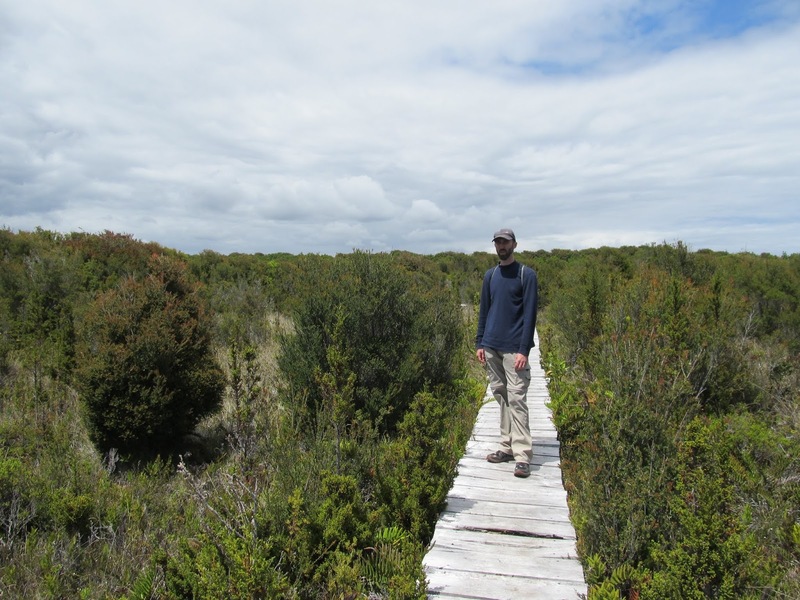 After a few nights we moved to the northern part of Chiloe and stayed in Ancud. 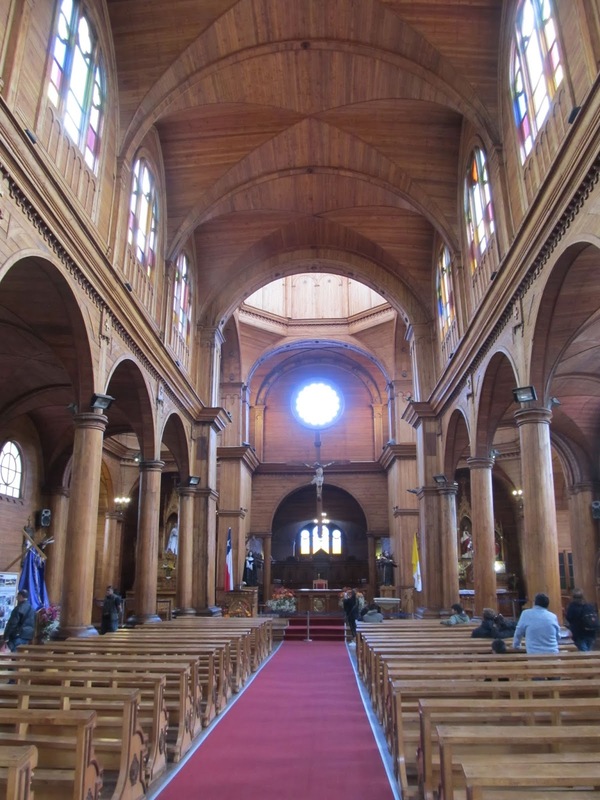 It is quieter but still very nice. 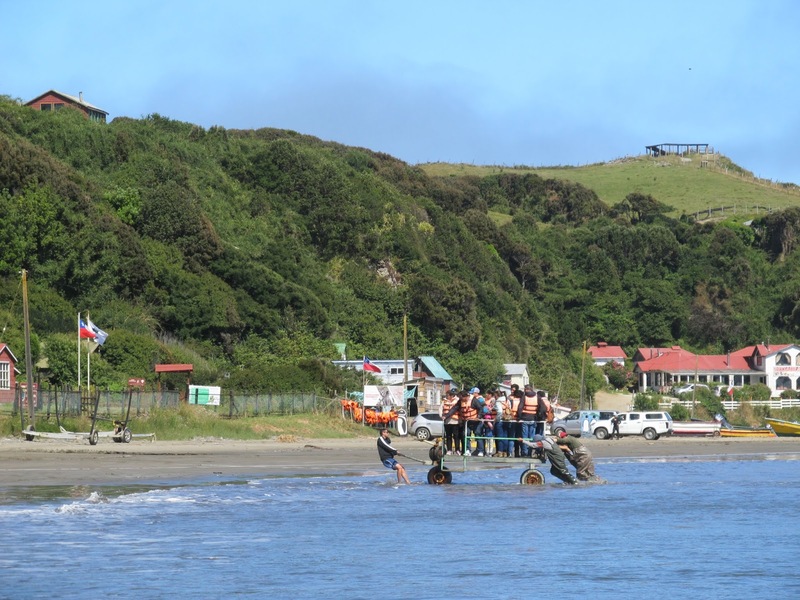 Chiloe is infamous for its rain but we had great weather the whole time and were able to enjoy strolls along the waterfront and summer weekend activities in the main plaza. 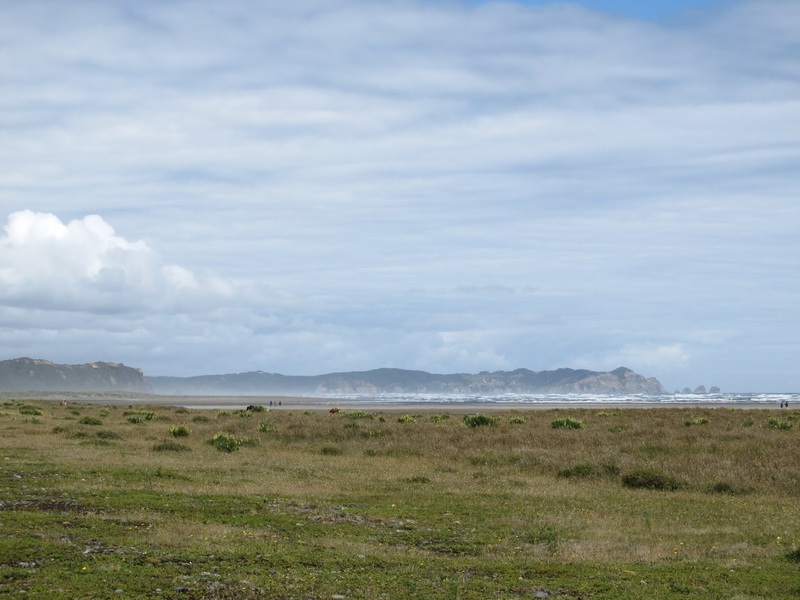 Wind was a constant presence and after temperatures in the 30’s in Santiago, it was shocking to our systems dropping down to the mid teens. 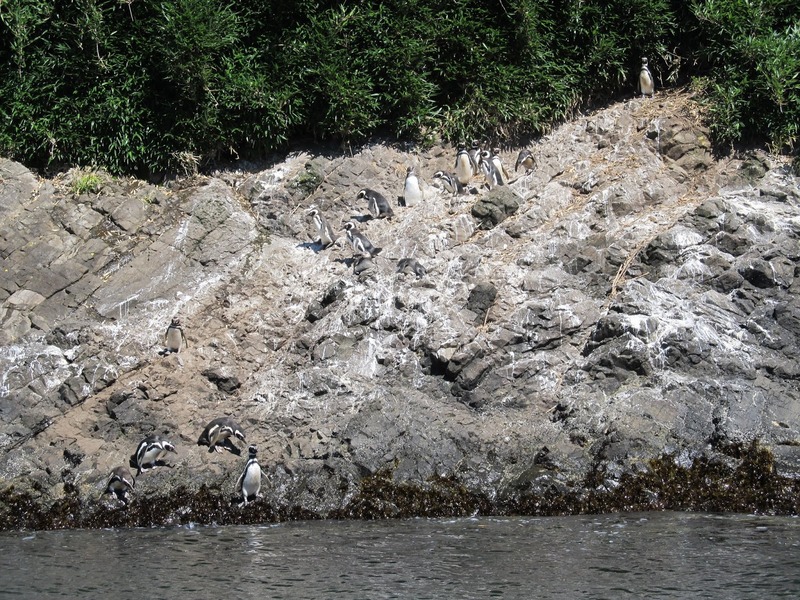 The highlight of Ancud was a short trip out to see a small penguin colony on a cluster on islands just offshore. 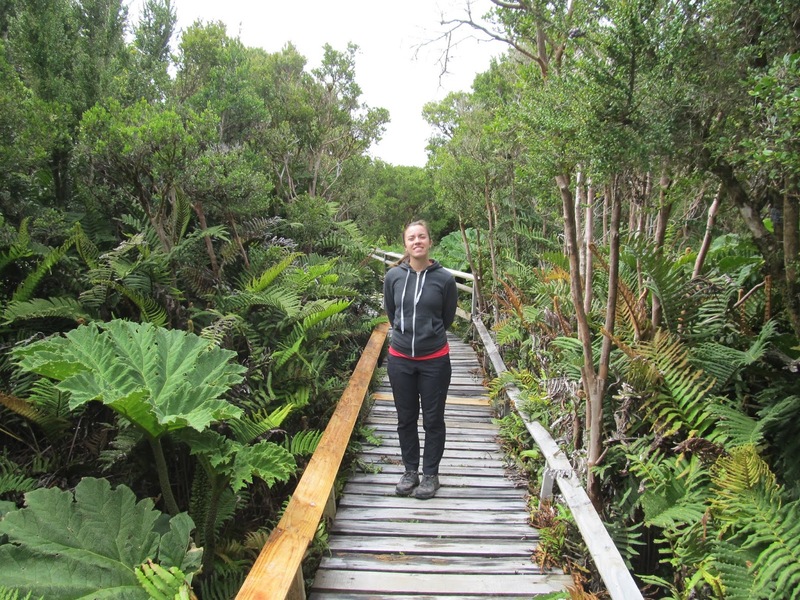 I guess it is actually 2 colonies as there are both Magellanic and Humboldt penguins to be seen. 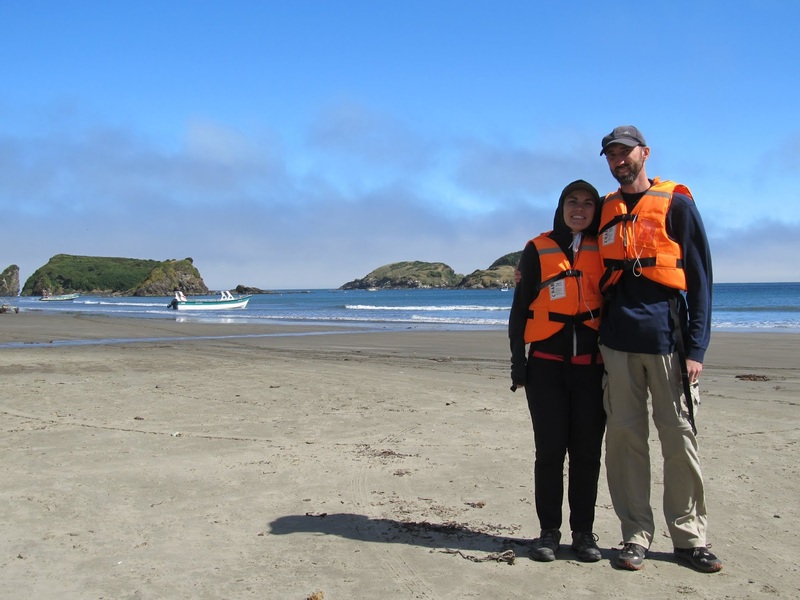 It was just a quick 30 min boat ride around the little islets but it was cheap and they were easy to see. We will see many more soon so we just thought of it as a little appetizer of things to come. How they load the boats without our feet getting wet. 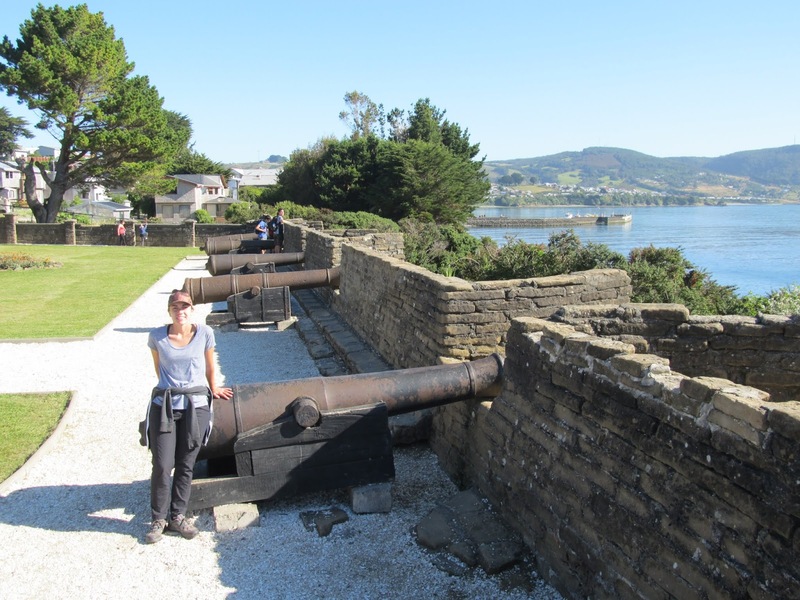 From Ancud we made our way back to Puerto Montt for a night before a new adventure began.